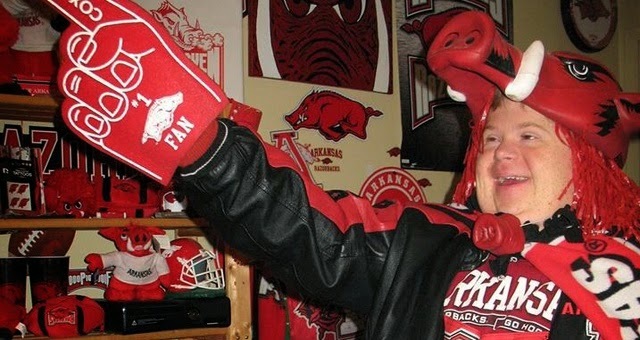 Canaan Sandy of Cave City attended his first Arkansas Razorbacks football game when he was just 2 months old, and he has been a Hogs fan ever since. 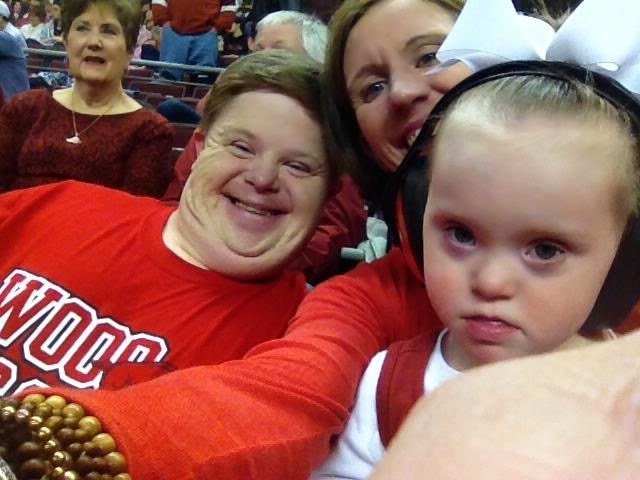 He wears a Razorback shirt every day and goes to every Hogs game he can. 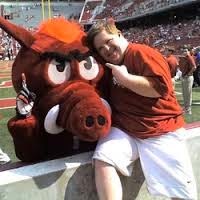 The 31-year-old has been fascinated with the Razorbacks for a long time, and his mother, Ginger, said loving the Hogs runs in the family. She and her husband have always been Hogs fans. She said she decided if the game was too hard on him, they were going to leave. His longtime dedication to the state’s beloved team has paid off. Just two weeks ago, he became a part of the ESPN Fan Hall of Fame. The ESPN Fan Hall of Fame is an institution devoted to discovering, elevating and celebrating greatness in sports fandom, according to ESPN’s website. Ginger said she saw an advertisement for the hall of fame and thought Canaan would be the perfect addition. Ginger said she had to get pictures together and write an essay to submit to the contest. Every wall in Canaan’s room is covered in Razorback stickers, posters, pictures and fan memorabilia— his sheets even have the Hogs printed on them. Within two days of submitting the Hall of fame application, Ginger said, she found out her son was in the top 25 candidates for the Hall of Fame. “When they notified us of that, [ESPN] told us we needed videos and photography, but they wanted professional stuff, stuff that would be worthy to make their commercials,” she said. She found herself empty-handed when it came to professional photographs of her son. So she turned to the place where she and her son frequently visit: the University of Arkansas. The next day, Canaan and Ginger toured the football facilities. Along with the football team, Canaan got to meet Bret Bielema, head coach for the Razorbacks football team.“Everybody was so good to us,” Ginger said. Once the photos and videos were submitted to ESPN, the network’s sportscasters picked the top 10 candidates out of the 25 finalists. After Canaan made it to the top 10, it was up to his fans to get him into the ESPN Fan Hall of Fame. Ginger said that along with Facebook event pages geared toward voting, the students at Cave City High School started each day by voting for Canaan. Canaan said he is ecstatic about getting into the hall of fame. “I’m so excited,” he said. He already has the 2014 football schedule memorized, and he has high hopes for next year’s season. “Our team will get 14-0 next year,” Canaan said. His mother said that when Canaan found out about his new “star status,” he couldn’t go to sleep that night. “Someone asked me that night if he had come down off of his high, and I said, well he went off to bed chanting, ‘I’m famous, I’m famous!’” she said. In spring 2014, Canaan will be formally inducted into the 2013 Fan Hall of Fame. His name will be engraved on a stadium chair on ESPN’s Bristol, Conn., campus. While attending our yearly Razorback basketball game we had the pleasure of sitting and visiting with Canaan and his mom Ginger. Canaan and Emma immediately took to each other. 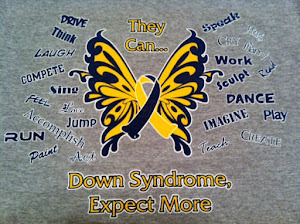 Thanks ESPN for bringing attention to one amazing man. I can not think of more deserving fan.